LISFF is an independent film festival.LISFF is accepting all genres of creative short films (documentary, fiction, animation, experimental, other). Any kind of short movies. 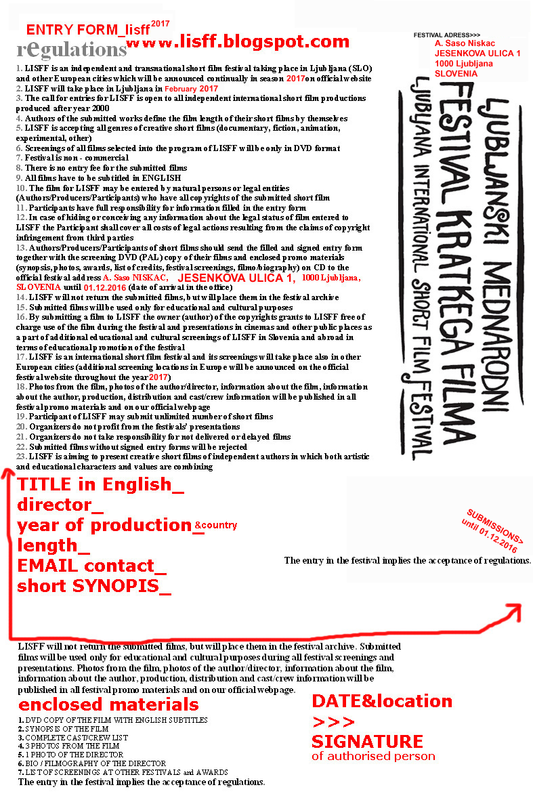 The call for entries for LISFF is open to all independent international short film productions produced after year 2002. Authors of the submitted works define the film length of their short films by themselves. All genres of creative short films (documentary, fiction, animation, experimental, other). Fill out the entry form and send it together with the screening DVD (PAL) copy and enclosed promo-materials on CD (synopsis, photos, awards, list of credits, festival screenings, filmo/biography).